Today we bring a brief summary of the most interesting stories in the photography world from last week, so sit back and enjoy everything that you may have missed! Alright, there are widest lenses, but those are fish-eyes, and honestly, that doesn’t work too much since it is too specialized. This is an extreme wide-angle lens from Venus Optics and will be shipping on December for Sony, Canon and Nikon mirrorless systems, and it is expected to be around $850. There is a prime lens from Voigtlander (which has a huge history in the world of photography) that is also 10mm, but a bit pricey, and with no zooming capabilities. This lens is a 10-18mm f/4.5-5.6, making it the world’s widest full frame rectilinear zoom lens so far. You can get a feel of the wideness here. Alternative brands are really interesting because they offer what camera companies can’t, flexibility and other goodies that aren’t solely related to price. Irix Lens is about to release a 150mm f/2.8 1:1 Macro Lens that will be available in December, and it looks great! Leica recently announced there most inconspicuous camera ever, how come? They removed the “red dot”, their iconic red logo which makes it easy to spot. They call it, A statement of understatement. The Leica Q-P is specifically tailored to fulfill the most stringent aesthetic and technical expectations, but of course, it is pricey. Nevertheless, it seems like a great choice for street photography. Lomography has launched a new film since quite a while, a monochrome 400 35mm option called “Berlin Kino Film”. Kino (Кино́) means Cine, so there should be some relation with cinema film look for sure. This software is a must if you are into RAW-based logic development software and extremely powerful color correction capabilities. Capture One Pro recently got updated, and it promises a lot of nice features, including a sleeker UI. Another great thing about COP, even when they have a huge relationship with expensive medium format cameras built by themselves, they opened their software for Fujifilm, even when they are offering now Medium Format cameras at accessible prices. Web-based apps are great, they give us solutions without extra and chunky software maneuvers. Photopea promises to be some sort of Photoshop clone that runs in your browser. You can check it out here. Google finally recognized their failure with G+, and they are closing it down. They’ll allow their users to download all their data and it won’t be a temporary closure. It will finally go offline in August 2019. 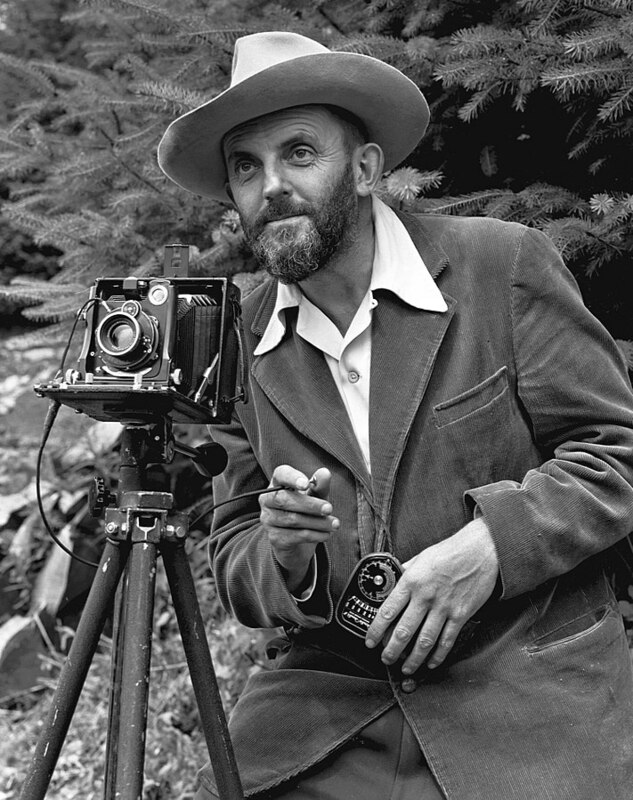 We all love Ansel Adams, he truly lived for photography and made some of the most beautiful landscape photographs ever. Recently the Ansel Adams Gallery made a 4-minute video that explains how one of the most iconic photos from Adams was made, “Moonrise, Hernandez”. Please watch it. Mustafa Hassona achieved one of the most compelling photographs of the year, and thanks to our postmodern tendency for immediacy, it has already been declared as iconic. The image has an extremely close similarity to Delacroix’s painting Liberty Leading the People. Photography magazines are a delight, they teach a lot of good stuff and keep us up to date. Here you can find an extremely detailed article on The 30 Best Photography Magazines of 2018. This week we spotted a very interesting book by Taco Hidde Bakker titled “The Photograph That Took the Place of a Mountain”. This book is a diverse collection of writings on the philosophy, politics, and art of photography. Its topics range from the tension between artist and model to the landscapes of the American West, the surfaces of a second-hand New York City, and the predicament of transcultural photography. This entry was posted in News on November 13, 2018 by Federico Alegria.